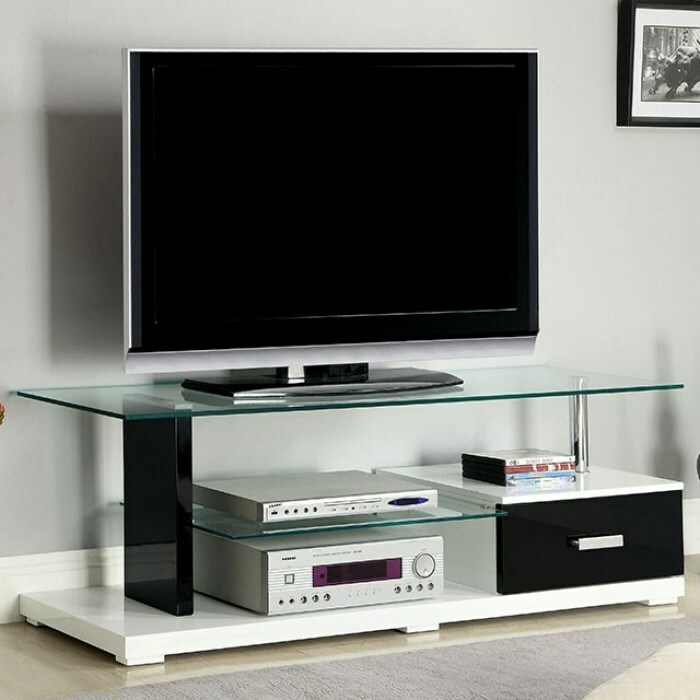 With great open shelving to stack multiple components, this modern media console has chrome accents and a single drawer for storage. Topped with a tempered glass and finished in white and black high gloss lacquer. 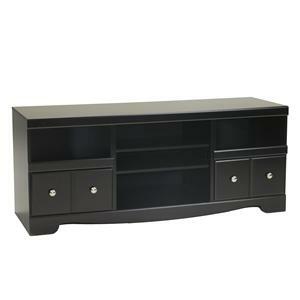 The Egaleo Contemporary TV Console with Drawer by Furniture of America at Furniture Superstore - NM in the Albuquerque, Los Ranchos De Albuquerque, Rio Rancho, Santa Fe, Corrales, NM area. Product availability may vary. Contact us for the most current availability on this product.